Queen's Law student Niamh Mackin (pictured centre), who spent a year studying business at Marymount University, Virginia, has been named Study USA Student of the Year 2018. This year’s award, which was sponsored by Clarendon Fund Managers, also saw fellow Queen’s student Lisa McCann (above left) named as runner-up alongside Alice McElroy (right), who currently studies at St Mary’s University College, Belfast. Over 50 students from Northern Ireland successfully graduated from the Study USA Programme at a ceremony held recently at the MAC in Belfast. Niamh was honoured at the event after achieving top academic marks and for an essay highlighting how her experience has helped further her employability. The 21-year-old Law student hopes to use her US experience to pursue a career in commercial law. Speaking about the award, Niamh who is from Belfast said: “My Study USA experience was truly the experience of a lifetime. It gave me an enormous confidence boost and I discovered that I could push myself further than I had ever imagined and even thrive in a challenging and unfamiliar environment. Study USA, formerly known as the Business Education Initiative, is managed by British Council Northern Ireland on behalf of the Department for the Economy. 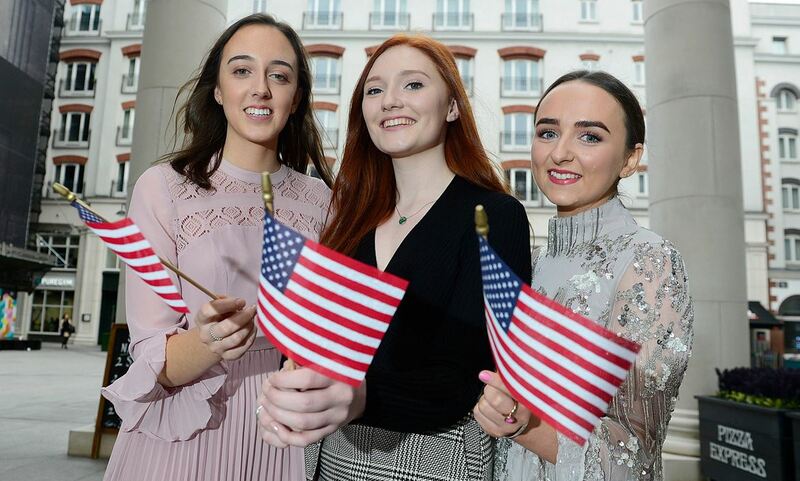 Since its formation in 1994, the initiative has sent over 2,000 students from Northern Ireland to the United States where they have successfully completed a year studying business at one of 140 institutions. Congratulating the Study USA alumni on their academic achievements in the US and their performance as ambassadors for Northern Ireland, Noel Lavery, Permanent Secretary at the Department for the Economy, said: “Improving the skill base, and consequently the employability, of our graduates is vital in a very competitive and global workplace, especially in attracting inward investment from international companies. “It is something we would seek to encourage for the benefit of the Northern Ireland economy. Therefore we will require a highly skilled, outward looking workforce to help us take advantage of the challenges and opportunities that lie ahead. “International student and staff mobility is recognised in our Higher Education Strategy as a key element in enhancing the reputation of our universities and colleges, attracting inward investment and improving career prospects for students. “Study USA has now developed into the Department’s flagship international mobility programme and we continue to provide it with significant funding, even in challenging economic times, because we recognise its value. It holds distinct benefits, both academic and personal, for the individuals involved. Also commending the programme was Jonathan Stewart, Director of the British Council in Northern Ireland who said: “Congratulations to Niamh and all of this year's Study USA graduates. Year on year we find that those who take part in the programme not only enhance their employability skills but also develop intercultural skills, which helps them to prepare to work in a global economy. “Next year, for the first time, students will also be able to study STEM subjects as well as business and this can only enhance and grow these vital links between Northern Ireland and the USA. Students interested in applying for the Study USA 19-20 programme can now apply online now at http://nireland.britishcouncil.org. The deadline for applications for HE Institutions is Monday, November 12 2018 and for FE Institutions – Monday, January 14 2019. For media enquiries or further information please contact Claire McAuley, Communications Manager, British Council, Northern Ireland, tel: +44 (0)28 9019 2224 or +44 (0)78 5652 4504 (m).